Rastakhan's Rumble Best Decks - The Top Deck Lists! Best Rastakhan’s Rumble Decks – The Top Deck Lists for the New Expansion! If you’re looking for the best Rastakhan’s Rumble decks then you’ve come to the right place! We will be rounding up all of the top deck lists from the new expansion, and continuing to update this guide with more decks as we narrow down the best options for every class. We usually find that the final expansion of the year has a greater impact on the meta than the middle of the year one, but it remains to be seen how Rastakhan’s Rumble will warp the meta. While we’re going to be grouping together all of the highest performing lists, please keep in mind that decks early in the expansion release might not stick around for long. A deck that is good in the first few days might not continue to be good as decks are more refined. The biggest reason why decks tend to fall off is because early in the release you are mostly playing against other unproven decks. This can lead to a false sense of their power level, and once people start to fall back onto older and more refined decks, the newer ones might start to struggle. If you just want to check out a big list of decks from the new expansion then check out our Rastakhan’s Rumble decks post! This is where we will be gathering all of the best decks for the new expansion. If a list is performing well, you will find it here. However, there could be decks that come and go from this as the meta plays out. We’re also going to include the better decks from the previous expansion so you can get an idea where each class was prior to the new meta. Druid is coming into the new expansion with some solid but mostly tier 2 decks. The new expansion seeks to bring back some Beast flavor, but also has a new potential lane for the class by riffing off its hero power. 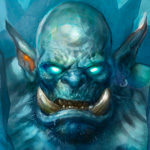 Gonk has now entered into the reliable Malygos shell to bring Gyong to #1 legend deeper into the expansion’s release. Da Undatakah was a hyped card going into the expansion, but early on it didn’t see a lot of play. Dog was able to take this Taunt Druid with it as a featured card to the number one legend spot. It’s like a Big/Taunt Druid on steroids – a lot of the slower matchups are auto-wins, because you can go infinite now. Hunter continues to look to be top tier in the Rastakhan’s expansion. Deathrattle Hunter is a great deck, and the class has a few other options at its disposal. The new expansion brings it some pretty interesting Beast synergy cards as well as the early game Springpaw. Hunter is also the beneficiary of receiving the only hero card this expansion in Zul'jin. Midrange Hunter might be back on the menu! 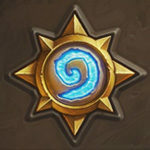 The old classic Hearthstone deck picked up a few new options, and is doing well on the ladder. If you don’t want to go full in on just spells, then you have the option to run a secret version of Hunter. It seems very unlikely that Deathrattle Hunter is going anywhere anytime soon. This list takes advantage of Dragonmaw Scorcher and Oondasta from the new expansion. Recruit Hunter was mostly pushed out by Deathrattle Hunter, but it might be back on the menu now thanks to Zul’jin, which provides an extra massive late game tempo swing. Hunter seems like the standout class in the very early days of the expansion. Zul’jin is a powerful card, and can do a lot of work with its Battlecry. Mage had its struggles heading into The Boomsday Project, but had fallen back on its Tempo roots to stay afloat as a mid-tier class. Much to the surprise of many, it would eventually lose Mana Wyrm to nerfs, which was one of its most powerful cards and helped carry the early game for Tempo Mage. The class largely fell to the bottom of the meta in popularity, and only had a couple of decks worth playing. Rastakhan hopes to bring back some Elemental flavor to the class, as well as bringing some hero power synergy as an option. While Tempo Mage lost Mana Wyrm, it has picked up again in the Rastakhan’s Rumble expansion. Not too much new in the list, just the addition of Spellzerker. While this list might not be completely refined, the concept of going more aggressive with Odd Mage is intriguing. Yulsic took this list from Rank 5 to Legend! The deck is basically like a Big Spell Mage going Odd – it turns out that 2 damage Hero Power, as well as Jan’alai, the Dragonhawk come pretty handy in lots of matchups. While Paladin lost its Even version to nerfs in The Witchwood, it eventually would see that deck return after the nerfs in The Boomsday Project. The class also continues to have one of the most powerful aggressive decks in the game with Odd Paladin. Rastakhan’s Rumble is looking to bring the class back to its roots by introducing some powerful control cards to its arsenal. Odd Paladin is likely going to continue as one of the best options for the ladder. The deck got nothing in the new expansion, but it remains a top tier deck. If you don’t want to get too creative with the expansion then a lot of the decks from the previous meta will work just fine with a tweak or two! Even Paladin should fall nicely into this. Exodia Paladin was a niche deck before, but it got a solid buff in the latest set. It’s much easier to survive until you can finally pull off your combo now. Priest was off to a pretty rough start in The Boomsday Project, but eventually the Resurrect archetype was found and gave the class a bit of hope. 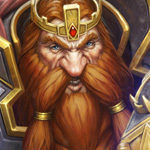 While it is still largely in the bottom of the meta, the new expansion could potentially bring the class back up to prominence. It could be possible that Topsy Turvy Priest is no longer a niche deck list. It got Mass Hysteria in the new expansion, which might be enough to push it into relevance! Inner Fire Priest has been a pretty reliable go to for the Priest class. Rastakhan’s gave it a bit more juice with Firetree Witchdoctor and Dragonmaw Scorcher as options. Mind Blast Control Priest was relying heavily on Dragon synergies to work, and Rastakhan’s Rumble has added some new, interesting options to choose from, making the Dragon package much better. Rogue was off to an interesting in The Boomsday Project meta with the fun but difficult Pogo Rogue. While that deck would eventually fall off, the class ended up having quite a few options at its disposal. The new expansion might give it even another option, and this time its in the way of Pirates! The class flirted with these before, but is now receiving quite a few cards that should synergize nicely with the tribe. Tempo Rogue has had moments in the past where it has shined, but lately it’s been on the weaker side. Enter in Rastakhan’s Rumble and the list might have enough again to make some waves. Miracle Rogue continues its crusade to never leave the meta. While this deck won’t work for everyone, experienced Rogue players might find it just what they’ve been looking for! Raiding Party gave Kingsbane Rogue more much needed consistency, and given that the early builds can be quite greedy, Kingsbane Rogue preys on them. 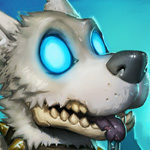 Shaman continues to be a mid-tier class with the ever reliable Even Shaman as an option. It also has the controversial yet popular Shudderwock, and the new expansion might offer the class a few new options that could fit in that list. The new cards in Rastakhan’s Rumble are largely focused on spell synergy, which could end up revitalizing the old Evolve Shaman. No surprise, but Even Shaman is still a pretty good deck. Not much need for new cards unfortunately. Tempo Shudderwock was a tough to play and niche deck in the past. The new expansion brought it a couple of new toys with Krag’wa and Rain of Toads. We’ll see if it is enough to bring the archetype into relevance. Warlock is in a pretty solid spot right now and is one of the most popular classes on the ladder. Not only does it have the ever reliable Zoolock, but it has the solid controlling Even Warlock if you are into slower matches. The class even still has Cubelock, which was once thought to be nerfed into the ground. Blizzard is looking to resurrect the fabled Discard archetype for the class. It has got multiple new cards targeting this potential style of play, but it remains to be seen if is enough! Zoo is always hanging around and the Rastakhan’s Rumble expansion meta is no different. We expected Even Warlock to stick around, and it seems likely that it will. While Odd Warrior had sometime to shine in The Boomsday Project meta, it has largely been pretty bleak for the once powerful class. Blizzard is looking to throwback to better days and revitalize the Dragon Warrior archetype. They are look to do this with some strong options like Emberscale Drake, Smolderthorn Lancer, and War Master Voone. Odd Warrior was an already established archetype, and it has became even better with the new Dragon package. Odd paladin deck is listed with level up which is even now. Sadly, yesterday’s nerfs have changed a lot of these lists. Odd Pally no longer has access to Level Up! which has basically killed the deck. Druids have had their ramp spells cost increased by 1 (Wild Growth and Nourish), which will reduce win %s. 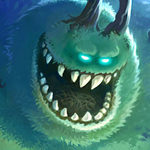 Saronite Chaingang has been “fixed” and can no longer grant Shaman Shudderwock the consistency it needed. Leeching Poison now only applying for a single turn MASSIVELY cripples Kingsbane Rogue. So now the meta stabilized, we’re back to the same decks as before the expansion (except for quest rogue). Most of the top decks have no Rastakhan cards at all like odd and even paladin, odd rogue, even and shudderwock shaman, even and zoo warlock. Or have 1 or 2 Rastakhan cards like kingsbane rogue, druid and hunter decks. OTK paladin is the only new deck that’s actually good. Odd mage is not that great. Warrior and priest are in a bad spot again. Did Rastakhan have a greater impact on the meta then Boomsday? I think not. AAECAf0GAq8EnOICDjCEAfIFzgfCCPcMysMCm8sC980Cn84C8tAC0eECh+gC7/ECAA ). It took me like 50+ games between rank 2 and legend. I encountered (estimate) 10 odd and 2 otk pala, 10 druid mostly taunt, 10 hunters mostly deathrattle, 6 rogues mostly kingsbane, 4 shudderwock and 1 even shaman, 1 zoolock, 1 quest priest, 1 odd warrior, 1 odd and 1 murloc mage. Of all those games I think I could count the amount of Rastakhan cards being played with my 2 hands. It’s very rare to see one. The meta is far from settled. First iteration is “TRY EVERYTHING NEW!” second iteration is now, which is “go back to old stuff and slowly incorporate cards we tried”. You’re acting like this isn’t exactly how it works every single expansion. Well I watched HCTPhilly last night and apparently the pros are back to the old decks too. Twitch chat was filled with sarcastic spam “new and exciting decks”. Always looking fwd for hs newer content on the best hs website. Keep it up! – not putting any dragon deck into the list. A deck based on Zerek, Master Cloner deck should be Priest best deck. If the meta stays like this, this expansion also is really underwhelming for me. Most of the decks barely have new Cards, maybe a few new decks that still need to stand their ground, that’s it. Can’t wait for the rotation..
Can’t agree (so far). There is less OTK and Solitaire playstyle + less Baku/Genn apart from Odd Mage, which is basically new to the Meta. The Aggro Shaman looks promising for keeping greed in check. It’s been only 2 days, but I am slightly optimistic.